with family, relatives and friends. 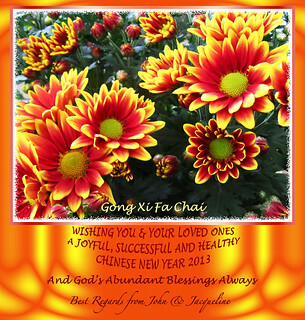 Have a blessed & prosperous Chinese New Year to you and your family. Hope all is good and happy. Thank you, James. We appreciate very much your wishes. A blessed, healthy and successful 2013 to you and yours too.